Compton Unified School District (CUSD) believes in the power of parent involvement and its ability to strengthen efforts to increase student achievement. 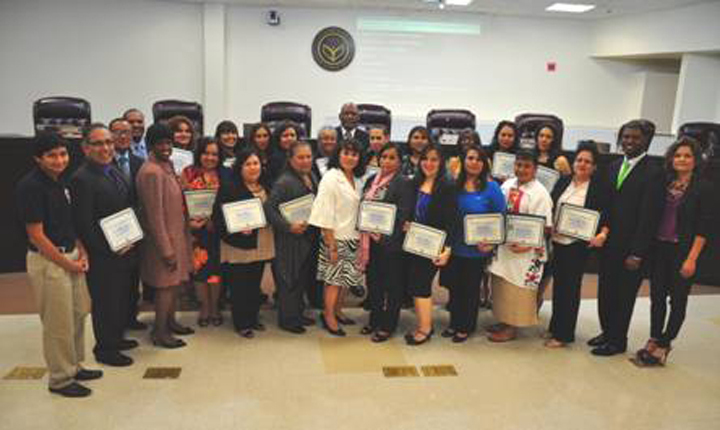 At the District’s board meeting on Tuesday, January 28, over 15 parents were recognized for their successful completion of the three-level “Project 2 Inspire” curriculum, which was sponsored by the California Association for Bilingual Education (CABE). Through “Project 2 Inspire” parents learned how to navigate through the educational system and are now equipped with the knowledge to train other parents at various school sites.